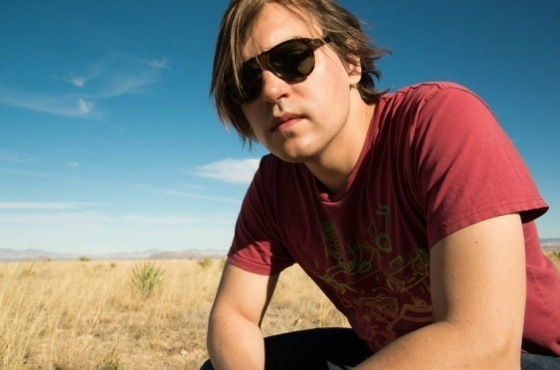 Emerging from the shadow of Arcade Fire is no easy task, but last night Will Butler proved that his solo efforts carry their own distinct weight. Taking to the stage at the operatic Rialto Theatre dressed in black tie attire, Butler and his accompanying band moved through their set with ease, as the modestly sized crowd danced and swayed with abandon..
Delivering undeniably upbeat music in a weird, enchanting way, Butler made sure to keep everything fun as he and his band played songs from this year's debut album Policy. The album itself — which received middling critical reviews for its apparent lack of focus — translated extremely well in a live setting. The hometown crowd showed Butler a lot of love; even those sitting down near the edge of the venue were grooving and jiving in their seats. With big brother and Arcade Fire frontman Win Butler hanging at the back of the room throughout most of his sibling's set, it was clear that Arcade Fire's influence will loom over anything else its members do. But the younger Butler's set nevertheless proved that he's beginning to carve out a legacy of his own — one foot-stomping, erratic rock song at a time.